Enpedia.net - For those who love to sell things on eBay, recently, you may find some difficulties in the sale of your stuff because your sales are stalled. Since 2010, eBay had introduced a novel regulation to its sellers called selling limits. This policy affects especially to new sellers, but some of the established sellers may get affected as well. This policy is set to make sure the marketplace remains trusted to sell and purchase things. In a month, eBay may limit the number of items that can be sold by a seller. To make sure the seller can stay in these allowances, especially for new sellers, bulk editing or listing tools can only be used after ninety days or after the seller receive them positive feedback at least. The reason behind this new policy is because eBay does not know a lot of things about the new seller, poor seller performance may cause bad purchasing experience, and some sellers do not comply the guidelines and policies set by eBay, which cause the sellers account to be restricted. This can be quite a headache for newbies. Thus, in this article, we will provide you some of the tips on how to increase selling limits on eBay without calling the operator. • Item based: these allowances are supposed to protect the seller and the buyer from listings for unauthorized copies, replicas, fakes, and counterfeit items. You can increase the listing allowance once you have passed the 90 days limit with great seller ratings. As long as you are confident with your products authenticity, you can request to eBay to increase your selling limits. You may get asked where did you get the items and prove that your items are authentic. • Category based: high value or popular categories are more prone to replicas and fake goods. This listing allowances may be placed to a sellers account if the seller has not sold items in the similar category in more than a year, the seller has not sold numerous items in the said category, and the last successful sale is more than 90 days. The only thing you can do about this allowance is to start your business slowly and establish real selling histories to prove that you can meet the demands of the customers. • Account based: these allowances are set according to the account status and general activity. The general allowance according to account for newbie sellers is ten goods/months or 650 euro in sales. The allowances are generally based on how good your selling performance, the item you sell, is and the age of your account. With this new policy, the sellers are supposed to adapt, and it is important to know how to increase selling limits on eBay without calling the operator. 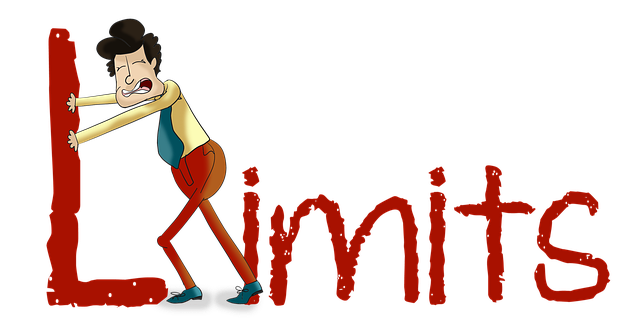 There are some options and methods that you can do to increase your selling limits. A lot of these tips are straightforward and simple. However, you have to be aware that eBay will surely suspend the account that gets caught trying to cheat their policy using these tips. In this how to increase selling limits on eBay without calling the operator tips, we will give some tricks to avoid eBay tracking systems and stay under their radar. Before explaining about how to increase selling limits on eBay without calling the operator, there are two main significant things to avoid the detection. The first one is using an unusual IP address every sign in and the second one is to have separate accounts for each PayPal or eBay account on the desktop. This two thing will help any seller to avoid eBays flash cookies on the sellers web browser. • Keep yourself up to date: make sure you know the latest development shared by experienced and professional sellers on eBay. You can check these updates on Aspkin.com. A lot of experienced online sellers share their tricks and idea to deal with the policy. Live discussions and forums are also available to keep yourself regularly updated. • Provide numerous items on the listings: technically, this method is prohibited by eBay. However, you may get away by using a unique description for your item to suggest that you are selling different items. For instance, shipping discounts provided for multiple items purchase. You can also encourage the customers to ask you about the availability of the items, whether it is about the style, color, or size. • Avoid negative review: make sure to apologize to the customers regardless how irrational the complaint is. If they do not feel satisfied with your product, that you can offer them a refund as long as they do not write any negative feedback. • Listing categories: if you receive a message about your limit, try to create other categories similar to previous one. It usually works to give you more chance to list more items. • Shill feedback: this trick is a bit risky, but as long as you are aware of your action, you may be able to stay under the radar. Create a different account for buying and leave feedback because waiting for the actual feedback from the real user can take a long time. • Create multiple accounts: you can create more accounts to sell more items, but make sure you use different details and descriptions to stay under the radar. Using alternate bank account, credit card, address, and name can be very helpful. Those are some of the tips and tricks on how to increase selling limits on eBay without calling the operator. Make sure you are careful enough before taking any suggestion into action to avoid being suspended. Do not be in a rush, take it slow and learn it well to be a great seller on eBay.